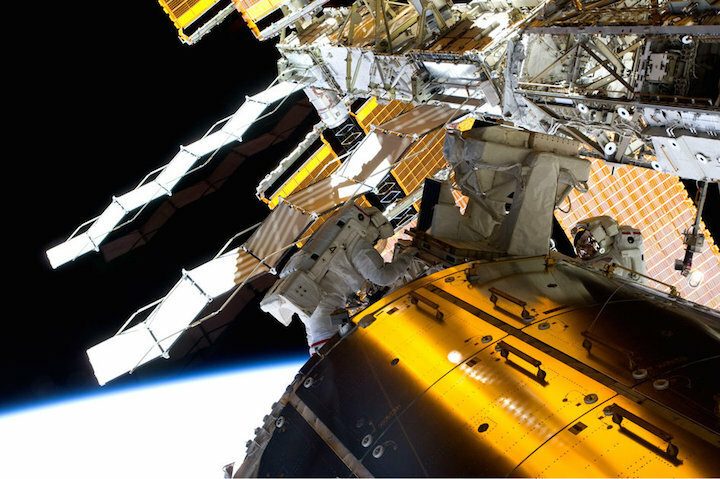 In the future, the Atmosphere–Space Interactions Monitor, ASIM, will be installed outside Columbus to monitor electric events at high altitudes. These include red sprites, blue jets and elvesthat are thought to be triggered by electrical discharges in the upper atmosphere. These powerful electrical charges can reach high above the stratosphere and have implications for how our atmosphere protects us from radiation from space. Discover more science experiments – past, present and future – onboard the Columbus module here.